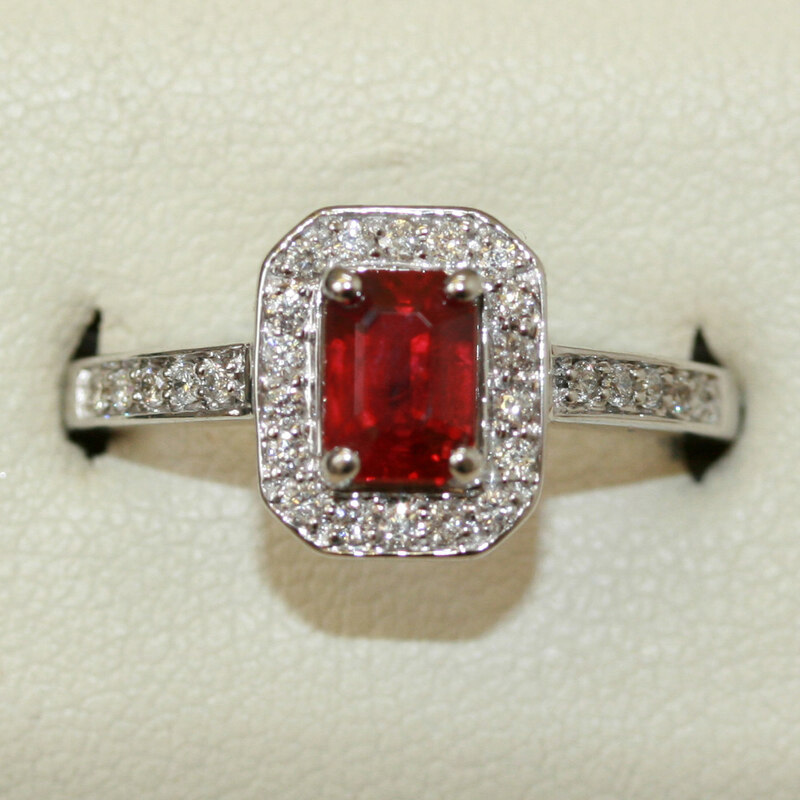 Burmese ruby and diamond ring. Product code: 504 Categories: Sold Items, Sold Rings. What a perfect coloured Burmese ruby! Burmese rubies have always been considered the best in colour and quality, and when you see this ring, it is very easy to see why. Measuring 1.08cts, and surrounded by brilliant cut diamonds, the ring is made in 18ct white gold. This is a ring that looks so elegant on the finger, it is just perfect in every way.